Sudden exam? Fell unwell? Boss felt productive? Happens. Fear not, transferring a ticket on Insider is just as easy as... Well, buying it in the first place. Read on. Remember how you bailed on your friend for that concert? And to give your ticket to his annoying sister, you had to scan your credit/debit card, write an authorization letter, print it, sign it, scan that too and mail ALL of this to her along with the actual ticket so she could print everythign and then carry this folder of random papers and show them at the entrance? 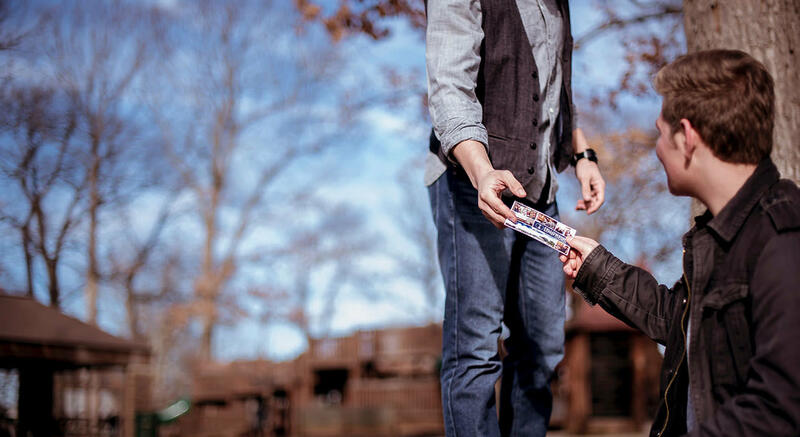 With the Insider Transfer Ticket feature, you can simply gift your ticket to someone else, without any paperwork, scanning, or a hundred unnecessary phone calls. It is as simple as using a Snapchat filter (or, if you're over 25, sending a Tweet). Here’s how it works. 1) Next to your purchased item, there will be a Transfer option/button. Click on it. 2) Fill in the details of the receiver (Name, email address and phone number). Make sure you fill the correct details. The transfer, like true love, can only happen once. You can also leave a personal message if you like. No pressure. 3) An OTP number will be sent to your phone from 'DM-INSIDR'. Fill that in. Yes, we shared it despite all the warnings. 'tis a noble deed you have done. 5) Your friend will get a happy email. What a nice guy that Deepak is! 6) Your friend can log in to his / her Insider account and claim what is now rightfully his / hers. And hey, if you still have some issue, you can always send an email at help [at] insider [.] in. Our customer service peeps will be more than happy to help you!